Our Canadian Poster yesterday made me think of comics. And by chance Superhero News came up today. It is mostly Batman comic book movie news from around the web. It synopsized 12 or so upcoming comics on January 10, 2018. There are so many of them and so much Batman News. Saturday May 5th is Free Comic Book Day in Canada. It is an annual promotional effort by the industry to bring new readers into independent comic books stores. This year the comic listed is Avengers: Infinity War. Batman Beyond Vol. 2: Rise of the Demon – The Batman of the future is back. Emerging from the rubble of the cataclysm that nearly destroyed the Earth, Terry McGinnis has returned to Gotham City and reclaimed the mantle of the Bat. He’s fended off some of his deadliest foes to do it. But he’s about to face an unexpected enemy—an opponent more patient, and more powerful, than any he’s ever known. When the League of Assassins launches an all-out assault on Gotham, Terry must travel to Tibet in his experimental Batsuit. There, he’ll stop at nothing to rescue his captured mentor Bruce Wayne and take the fight to their leader—Ra’s al Ghul himself. But when he finally gets his audience with the Demon’s Head, he’s in for the shock of a lifetime. Can Terry defeat this shadowy figure and free Bruce Wayne from his nemesis? Or will this all-out war—and the twisted technology of his biomechanical Batsuit—drive him into a darkness he can never escape? Holidays for today include Houseplant Appreciation Day, National Bittersweet Chocolate Day, Peculiar People Day, and National Cut Your Energy Costs Day. 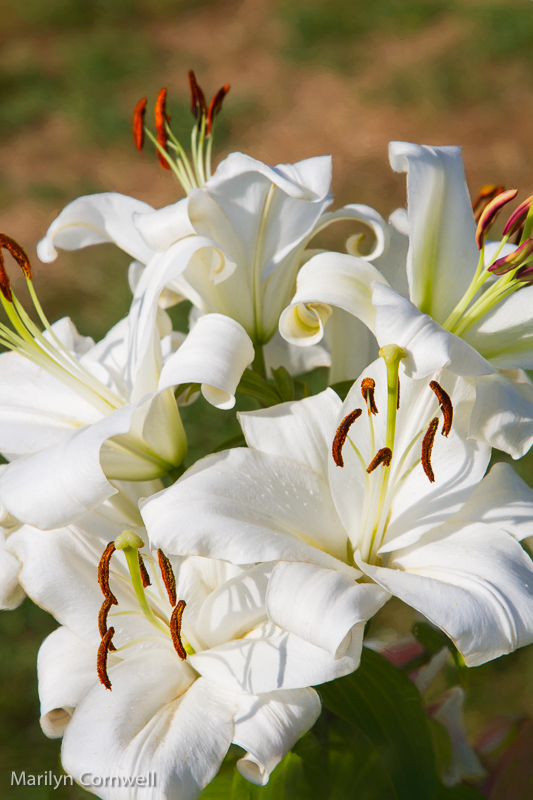 Today's image is a beautiful snow-white lily from Brian's Lilycrest Garden hybridizing field.